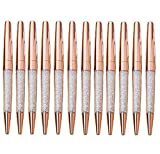 Huhuhero Fineliner Color Pen Set 18pc Porous Fine Point Markers is currently selling at $7.99, approximately $0.89 lower than average, giving a potential saving of $2.00 right now. With a lowest price of $7.99 and an average of $8.88 it is selling on the low end of its usual range. Price volatility is 0.59% (meaning it does not change often), so the price should stay low for a while. Right now this product is a recommended 'fantastic deal'. The current deal is also the best price on this item over the last month. 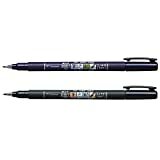 Compare the current price, savings (in dollars & percent) and Buy Ratings for the top Pens that are closely related to Huhuhero Fineliner Color Pen Set 18pc Porous Fine Point Markers. Here is how Huhuhero Fineliner Color Pen Set 18pc Porous Fine Point Markers compares with other leading Pens. Huhuhero Fine Color Point Pen Set FeaturesMULTI COLORS : 18 Vibrant Colors, No Duplicates , 0.38 mm Fine Point, perfect for drawing lines & details, painting, writing, sketch, marker, signing, manga, animation, graphic, design, illustration, included artists fine-ink drawings and coloring small intricate patternsHIGH QUALITY : Water-based ink, Dry safe, Minimal bleed thru, Acid-free /Non-toxic Ink, these fiber-tipped pens create fine lines and intense water-based colors. 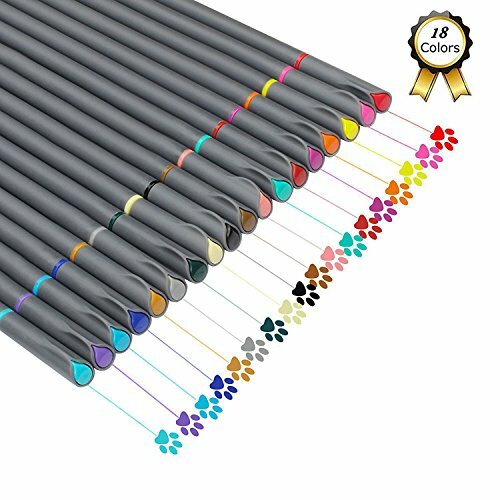 Ideal for Coloring Books and Bullet JournalCOMFORTABLY & DURABLE : The Huhuhero Fine Line Drawing Pen sit very comfortably in your hand and the caps are easy to remove and replace, help to keep Color Pens lasting longer and prevent from dry-outsMULTIPLE USAGES : Huhuhero Fineliner Pens are very versatile! You will find they are perfect for writing in your planner, diary or calendar. Try color coding your activities & appointments to simplify your life! 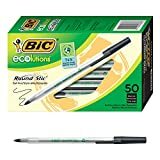 Alternately, they work very well for note taking, scrapbooking, mind mapping, doodling, comic, animation, adult coloring books and all other arts and crafts projects! Use alongside your coloring pencils, markers, glitter pens,or brush pens!